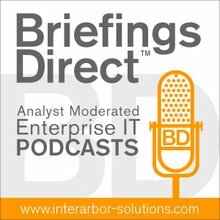 Dana Gardner's BriefingsDirect: Can software development aspire to the cloud? That throws plenty of ambiguity on the term PaaS – does it refer to development inside the cloud, or development of apps that run in the cloud? The distinction is important, not only to resolve marketplace confusion and realistically manage developer expectations, but also to highlight the reality that apps designed for running inside a SaaS provider’s cloud are going to be architecturally different than those deployed locally. Using the Salesforce definition of PaaS, apps that run in its cloud are designed based on the fact that the Salesforce engine handles all the underlying plumbing. In this case, it also highlights the very design of Salesforce’s Apex programming language, which is essentially a stored procedures variant of Java. It’s a style of development popular from the early days of client/server, where the design pattern of embedding logic inside the database was viewed as a realistic workaround to the bottlenecks of code running from fat clients. Significantly, it runs against common design patterns for highly distributed applications, and of course against the principles of SOA, which was to loosely couple the logic and abstracted from the physical implementation. In plain English, this means that developers of apps to run in the cloud may have to make some very stark architectural choices. That throws plenty of ambiguity on the term PaaS – does it refer to development inside the cloud, or development of apps that run in the cloud? Salesforce cloud to another cloud provider or transition it to on premises because the logic is tightly coupled to Salesforce’s plumbing. This also sets the stage for future differentiation of players like Microsoft, whose Software + Services is supposed to make the transition between cloud and on premises seamless; in actuality, that will prove more difficult unless the applications are written in strict, loosely-coupled service-oriented manner. But that’s another discussion that applies to all cloud software, not just ALM tools.